July 20 was a flurry for Destiny 2 players as a new secret quest was discovered. Players on the Io patrol location found a secret Taken portal that took them to a mysterious mission space with a 20-minute time limit. Players flocked to Io seeking the mission and the secrets it held within, and after a few hours, reports began to trickle in of completions. 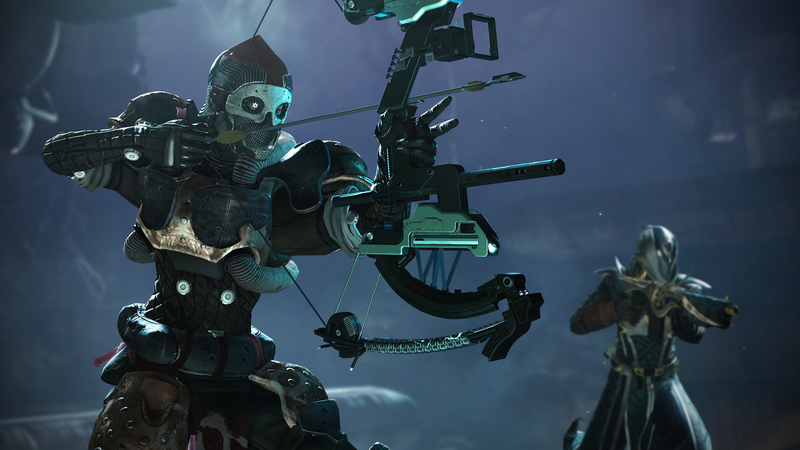 Those who emerged victorious earned the Whisper of the Worm Exotic sniper rifle, a new weapon that essentially has the same stats as Destiny 1’s famed Black Spindle/Black Hammer sniper rifles. For Destiny fans, this event is a return to form for Bungie. The original game was laden with secrets, and as they dug into “The Whisper” quest, more hidden puzzles, and deep lore implications presented themselves. First of all find a fireteam. The mission is near-impossible to solo. Head to Io and wait in the Lost Oasis area for the the Taken Blight public event. When it spawns, look for a named Taken enemy around the area. Once this enemy is dead, a Taken portal spawns on top of a cliff near the Lost Sector in the area. Approach the portal and hold square to begin The Whisper. Finding the quest is the easy part. Completing it is something else. Again, you will need to have a fireteam of three–or it’s at least highly recommended. Upon starting The Whisper, you will have 20 minutes to finish it. The first portion is a jumping puzzle that reminds many players of the classic Destiny Raid jumping puzzles. Be ready to try and fail at this a few times. After the jumping section, you will come across three rooms full of Taken enemies that need to be killed, familiar to anyone who obtained the Black Spindle in Destiny 1 through a similar mission structure (minus the jumping puzzle). The final room contains three bosses that must be killed, in addition to tons of adds. Once all three bosses are dead, you will be rewarded with the Whisper of the Worm, the Exotic sniper rifle. Check out the video from Datto above to see exactly how to finish the mission. That’s not the end of the secrets, however. Upon completing The Whisper once, a selectable node will be added to your map for a Power 400 Heroic version of the mission. Completing the Heroic version grants the Masterwork catalyst for the gun, but the secrets don’t end there either. Inside the Heroic version of the mission there are five secret chests to collect. Collecting them all will activate a Vex portal and allow players a glimpse inside the Vault of Glass through a portal that was inactive throughout Destiny 1 (aside from a single mission). 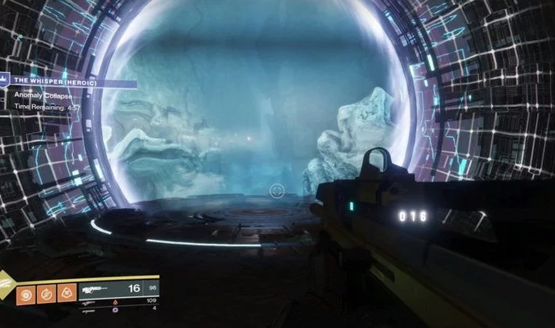 While you can’t pass through the portal, shooting the oracles that appear in the same order as the Vault of Glass oracles will spawn another chest that contains an Exotic ship blueprint and an item needed for the Sleeper Simulant Masterwork quest. Is this the mysterious hidden seventh Vault of Glass chest? Perhaps most interesting–besides all of these other interesting aspects, of course–are the lore implications behind this quest. At the conclusion of the Warmind expansion’s campaign, people were disappointed that the worm god Xol and Hive prince Nokris were so quickly introduced and then easily felled, despite being such notable and powerful beings. During The Whisper, we surprisingly hear Xol speak once more (actually about three times), even though he was presumed to have been killed. In addition, bosses at the end of this mission are old Destiny 1 enemies that we already killed that have been taken. Reading the lore tab on the Whisper of the Worm reveals further details about Warmind’s villains and what this quest means for Destiny 2’s story. Nokris and Xol had been dabbling in resurrection, and it seems that Xol is not dead after all. He’s also found a way to not only resurrect, but to turn some old dead foes into Taken enemies. The Taken clearly play a big role in Forsaken, and it looks like Xol could be in league with Savathun, the expected Forsaken Raid boss. Over the next few days, players are certain to delve into the lore even more to find out just what it means for the future of Destiny 2. The Whisper has stoked the fires of passion in Destiny 2 players, getting people excited for classic Bungie and the reasons they fell in love with Destiny to begin with. There’s been some concern that the Game Informer coverage of Forsaken has shown off too much of the coming expansion. The many layers of secrets present in The Whisper give hope that there might be a lot of these kinds of secrets coming up. It’s these very kinds of moments that keep Destiny players coming back to the game again and again. As an avid Destiny fan myself, it’s amazing to see the community excited and interested in exploring and finding every secret it has to offer. Don’t forget that Solstice of Heroes is coming up on July 31, an extension of the Moments of Triumph for this year. Destiny 2 update 1.2.3 also released on Tuesday, bringing with it many changes that players had been waiting for. Are you going to try your hand at The Whisper? Do you want to see Bungie do more of these exciting secret events in Destiny 2? What do you think the lore means for Forsaken and what we might see in Destiny 2’s future? Let us know in the comments below.